Eriksson, Fatos Ustek, Elena Nemkova, Natasha Rosling, Samon Takahashi, Stephen Whitmarsh. Ouunpo is a three days symposium that will take place in various locations across and around the city of Athens through conventional and non-conventional investigations. The symposium, dedicated to the “oral tradition”, will include performance, round-table discussions, lectures, screenings, visits and walks to various selected sites. Greece is a country where myths, art, epic and lyrical songs originated from oral tradition and kept alive by travelling poets. This country is also in the limelight due to the current political and economical crisis. Our visit will be an occasion to investigate the tradition of storytelling and myth as a form of sharing knowledge and performing history, which often stand in opposition to the methodology of institutions. 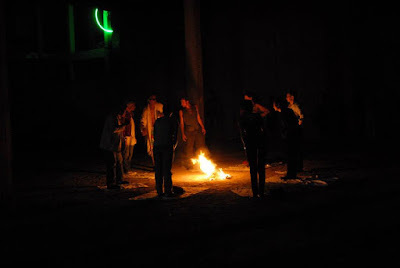 We will try to re-evoke the oral memory of events in contemporary (art) world, with a specific approach to the rituality and the improvisation that are always connected to oral narratives. Performance and initiation to a secret knowledge will be also the objects of our conversations with members of the esoteric milieu and of the masonic lodge. Inspired by the great religious, theatrical, democratic and artistic traditions of Greece, and in dialogue with local artists, musicians, composers, art historians, writers and curators, we will observe the present moment, and reflect about how a genuine revolutionary movement needs to brake with literal repetition of the past. To perform something means to interpret it, to betray it, to distort it. Boris Groys affirms that “the opposition between living spirit and dead letter informs the whole traditional Western discourse on religion”, but also on art itself, as embodiment of the creative spirit of change. *11 am: Trip by ferry from Pyraeus to the island of Aegina and visit to the temple of “Aphaea”. We will spend the all day in the island, donʼt forget to bring you bathing suit! *11 am: Athens, DESTE foundation. Meeting with the poet Nanos Valaoritis and with Stefanos Rozanis, writer and philosopher. curators Nadja Argyropoulou (“Hotel Paradies”, Athens Biennial 2009), Yorgos Tzirtzilakis, Malvina Panagiotidi. *4 pm – 4.30 pm: van to Eleusys with departure from Deste Foundation. *4.30 – 8.30 pm: visit to the archaeological site of Eleusys. Performance by Fatos Ustek and Per Huttner. Visit of the temporary exhibitions of Loukia Alavanou and Stephen Antonakos. Collective performance directed by artist Klas Eriksson. 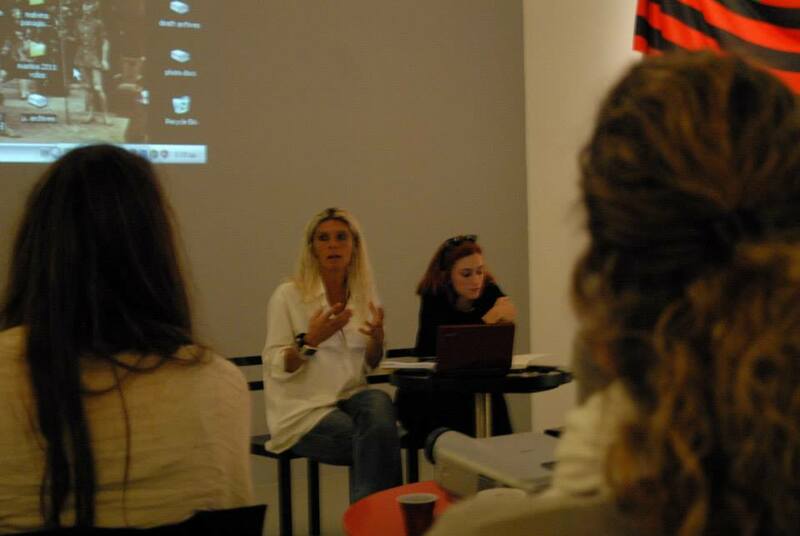 Screening of the work of artists Panagiotis Loukas and Panos Tsagaris. Performance by Elena Nemkova. *8.30 -10 pm: Artist Marios Chatziprokopiou presents the screening of the film by "Agelatos Petra" by Filippou Koutsaftis in an outdoor cinema. *10.30: Athens. Visit to the Masonic Order Delphi and to its temple. Presentation by Iordanis Poulkouras and Sasha Chaitov about "The Eleusinian mysteries through the ages. Initiatory practices in the Western esoteric tradition". *17.50: Athens, Six Dogs space in collaboration with curator Kostantinos Dagritzikos: Composer Georgia Spiropoulos (www.georgiaspiropoulos.com) will present her work. She will also introduce us to Yianna Tsokou, and we will discuss with them about Anastenaria, ancient rituals of fire still performed in Greece and Bulgaria, and will show us videos of the theatrical revival of Delphi promoted by poet Angelos Sikelianos in the beginning of the XXth century. *8 - 9 pm: Six Dogs. Selection of Greek experimental music by Samon Takahashi.